G' day welcome to Partakers and the last planned in this little series, Jesus and you, where we looked at some people in the Gospel record, who met Jesus and how he changed their life and perceptions. Today its Jesus and me! Almost everybody has an opinion of the man Jesus Christ! Countless millions worship him today and down through history! 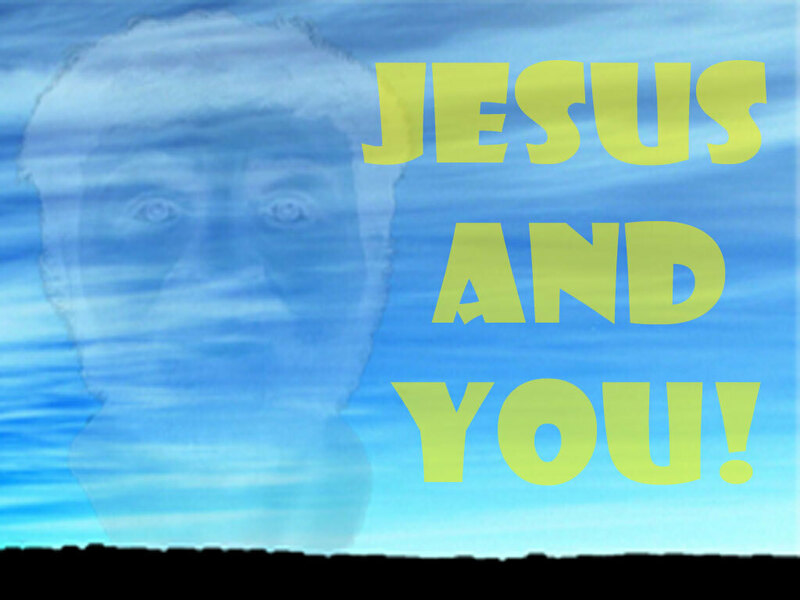 People sometimes ask me "Who is my Jesus?" My Jesus Christ, is the man who splits history BC & AD! The man who we claim is the messiah and saviour as spoken about by the prophets of old and written about by those who met Him... My Jesus Christ, the man who healed the sick, fought for justice, did many great deeds, filled with compassion, driven on by joy and in constant conversation with God the Father. My Jesus Christ, is the man who claimed to be God and was God! Jesus who emptied Himself, made Himself nothing, so as to take on human form. Jesus Christ, fully human and yet fully God. My Jesus Christ, is the most amazing man who ever lived, born of a woman, in a humble stable. Jesus Christ, the man born to die that he may come back alive and give all people a chance to live forever. My Jesus Christ, is the man who died on a grubby Roman cross, pierced, battered, bruised and scarred. Jesus Christ, the God-man who died physically. Jesus Christ, buried within and sealed into a cold empty tomb. My Jesus Christ, is the man who conquered death, came back alive as witnessed by uncountable others. Jesus Christ who defeated the sting of sin, so that humanity may choose to live forever! My Jesus Christ, whose very death and resurrection we celebrate at Easter, who ascended to the right hand of God the Father. This Jesus Christ, who with the Father, sent the Holy Spirit to transform into His own image, all who choose to follow Him. My Jesus Christ, who covers His followers in His own robe of righteousness so that they would be acceptable to God the Father. Jesus Christ, coming again soon in glory to judge humanity and claim those who follow Him. Jesus Christ who calls to you and I "Come and follow!" That is my Jesus Christ! But, you may be asking yourself, why are you a Christian and identify yourself as such? I am a Christian not because of anything I have done! No, nothing I could do or have done would have made me a Christian. Rather, it is because He first chased me, and because He first loved me. Jesus himself said "I came to seek and to save the lost" (Luke 19v10). God was chasing me and following my every path. Why am I a Christian? It is because of the events at Christmas and Easter that I am a Christian! The dual events, in harmony, when God entered this world as a human baby and took all the necessary steps so that all people could have the choice to be His people or not. In my more smug moments I used to congratulate myself for being a Christian. How proud I was that I, Dave, was a Christian and that God was a jolly lucky God that I had decided to follow Him. It was during one of my less self-deluded moments, that I examined myself and I found God pricking my conscience and correcting me, and I read the New Testament "For the Son of Man came, not to be served but to serve and give His life as a ransom for many" (Mark10v45). If you would not call yourself a Christian today, and this Jesus appeals to you, this Jesus who speaks with authority, and you want to become a Christian there are three simple steps to follow. Firstly, admit that you have done wrong against God and His ways. Secondly, believe and trust in Jesus. Call on Him, receive, trust, obey and worship Him, recognizing Him for who He is and what He has done. Lastly, confess Jesus as your Lord and Saviour. Once sin has been confessed, and Jesus is believed in and trusted as Saviour, then you are a Christian. Now you are ready as Peter writes in the Bible, "to grow in grace and knowledge of our Lord Jesus Christ" (2 Peter 3:18). Christian discipleship is a lifetime commitment! Welcome to the family of God. It isnt just becoming a convert but rather a life long follower wanting to be more like Jesus Christ in what we call being a disciple. God has chosen you; Jesus has paid for you and has put His mark within you through His Spirit (Ephesians 1:1-13). Finally, I ask again, who do you say this Jesus is? But further, what are you going to do with this Jesus and let Him do to you? Thank you. Again, I ask, who do you say Jesus is? But further, what are you going to do with this Jesus and let Him do to you? When I saw him, I fell at his feet as though dead. Then he placed his right hand on me and said: Do not be afraid. I am the First and the Last. I am the Living One; I was dead, and behold I am alive for ever and ever! And I hold the keys of death and Hades. Write, therefore, what you have seen, what is now and what will take place later. The mystery of the seven stars that you saw in my right hand and of the seven golden lampstands is this: The seven stars are the angels of the seven churches, and the seven lampstands are the seven churches. Revelation 1:12-20! Jesus has made an appearance to his close friend and disciple, John! Jesus is now the resurrected and ascended King of Kings and Lord of Lords! In Revelation 2 and 3, this Jesus sends messages to seven groups of people who have taken Him up on that offer of salvation! : the first century churches of Ephesus, Smyrna, Pergamum, Thyatira, Sardis, Philadelphia and Laodicea. Here Jesus tells the churches to keep doing, stop doing and be blessed! But first, lets look at Jesus, Himself! Jesus holds the seven stars in his right hand and walks among the seven golden lampstands. Jesus who is the First and the Last, who died and came to life again! Jesus, who has the sharp, double-edged sword, is the Son of God and whose eyes are like blazing fire and whose feet are like burnished bronze. Jesus Christ, who holds the seven spirits of God and the seven stars! Jesus Christ, who is holy and true and holds the key of David. Jesus Christ, who opens what no one can shut and shuts what no one else can open. Jesus Christ, who is the Amen, the faithful and true witness, the ruler of God’s creation. To these 7 churches, of Ephesus, Smyrna, Pergamum, Thyatira, Sardis, Philadelphia, Laodicea, Jesus praises them individually and separately! They are to continue doing such things as working hard for the Gospel, remaining faithful, not tolerating evil, not being seduced by false teachers, for persevering and enduring hardship and not growing weary. Jesus praises them for being faithful through suffering, poverty and persecution for His sake. Jesus praises them for remaining true to Him and for not renouncing their faith! Jesus, the Lord of Lords and King of Kings, being ever gracious to His followers. But He also rebukes them and commands that they stop doing certain things! They are to stop listening to various false teachers and prophets, being swayed by their clever and seductive words and actions. He rebukes because they have forgotten that they are to love Jesus above all and they have forsaken him. In his rebuke, Jesus commands that they repent, that is to ask Him for forgiveness and be willing to turn away from the false teachers, false prophets and false way of living. To all those who persevere, overcome and are victorious, Jesus will give the right to eat from the tree of life, which is in the paradise of God. To all those who overcome and are victorious, they wont be hurt by the second death. To all those who overcome and are victorious, Jesus will give the victor’s crown! Those who overcome and are victorious, will be given authority over the nations! To those who overcome and are victorious, they will be in the temple of God, never to leave it! Jesus will do the most extraordinary thing, of writing on them the name of God, the city of God and His new name! To those who overcome and are victorious, their name will be in the book of life, and Jesus will acknowledge them before God the Father and his angels. Then finally, for those who overcome and are victorious, they will sit with their Master, the Lord Jesus Christ, on His throne, just as He was victorious and sat down with His Father on his throne. That’s you and me if we hold out to the end! 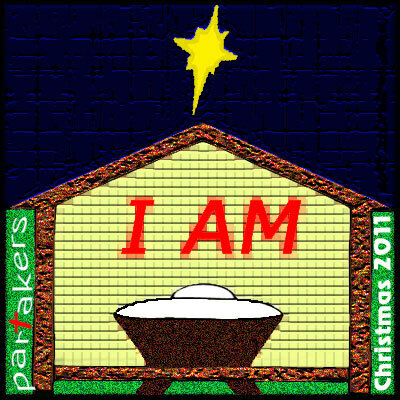 At Partakers, like most of the world, we are now on the countdown to Christmas! This year we will look at how the birth, life, death, resurrection and ascension of Jesus Christ was fulfilment of words and promises spoken about down through the ages – through countless years as people looked to God to rescue them. Over 300 predictions in the Old Testament look to the coming of a Messiah. That man we Christians believe was Jesus Christ. Over the next 2 weeks, we will look at just a few of them! Look up the Bible references yourself to see! 4. Prediction: Messiah would come from the line of Abraham. 5. Prediction: Messiah would be a descendant of Isaac. 6. Prediction: Messiah would be a descendant of Jacob. 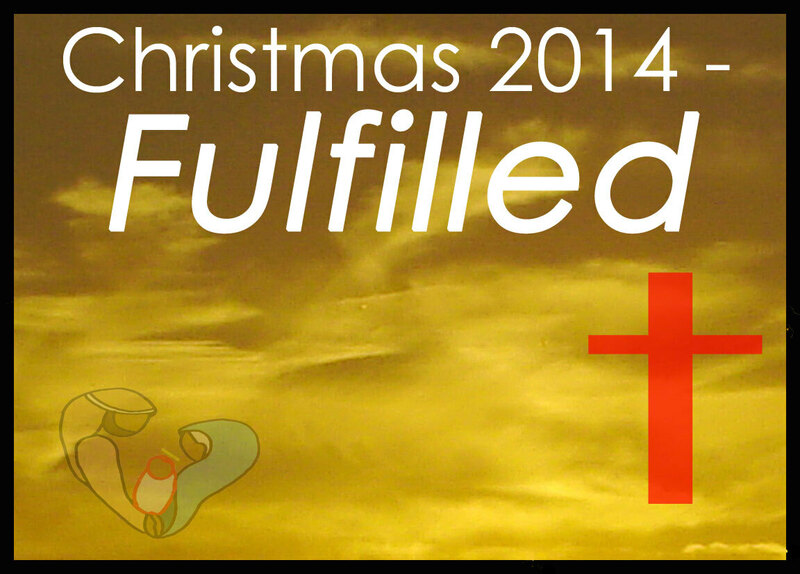 We continue tomorrow in our series "Fulfilled!" See you then! As he said this, the young angel rose, with arms outspread, from the green meadow of Peacefield and, passing over the bounds of Heaven, dropped swiftly as a shooting-star toward the night shadow of the Earth. The other angels followed him—a throng of dazzling forms, beautiful as a rain of jewels falling from the dark-blue sky. But the child-angel went more swiftly than the others, because of the certainty of gladness in his heart. And as the others followed him they wondered who had been favoured and chosen to receive the glad tidings. This was our 6th and final part of this short story! Thanks for listening! Please do let us know what you thought about it by making a comment below! 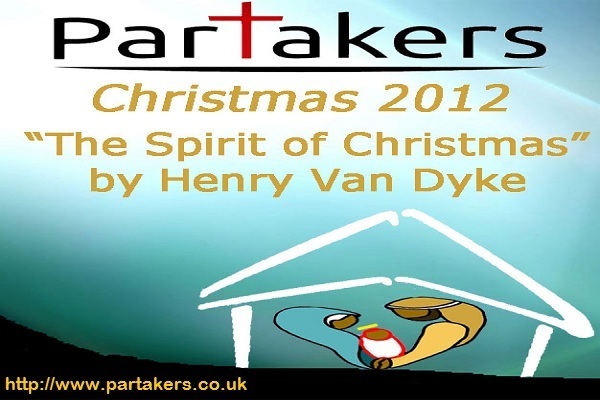 For Christmas 2012 on Partakers, we are listening to a short book, "The Spirit of Christmas" by Henry van Dyke, first published in 1905 and in the Public Domain. The original book can be downloaded by visiting the Gutenberg site! Then from between the rounded hills, among which the brook of Brighthopes is born, appeared a young angel, a little child, with flying hair of gold, and green wreaths twined about his shoulders, and fluttering hands that played upon the air and seemed to lift him so lightly that he had no need of wings. As thistle-down, blown by the wind, dances across the water, so he came along the little stream, singing clear above the murmur of the brook. Done All the angels rose and turned to look at him with wondering eyes. Multitudes of others came flying swiftly to the place from which the strange, new song was sounding. Rank within rank, like a garden of living flowers, they stood along the sloping banks of the brook while the child-angel floated into the midst of them, singing: "I know it, I know it, I know it! Man shall be made like God because the Son of God shall become a man." For Christmas 2012 on Partakers, we are listening to a short book, "The Spirit of Christmas" by Henry van Dyke, first published in 1905 and in the Public Domain. The original book can be downloaded by visiting the Gutenberg site. "Who was it, to whom you were sent with counsel long ago? Was it not Balaam the son of Beor, as he was riding to meet the King of Moab? And did not even the dumb beast profit more by your instruction than the man who rode him? And who was it that was called the wisest of all men, having searched out and understood the many inventions that are found under the sun? Was not Solomon, prince of fools and philosophers, unable by much learning to escape weariness of the flesh and despair of the spirit? Knowledge also is vanity and vexation. This I know well, because I have dwelt among people and held converse with them since the day when I was sent to instruct the first man in Eden." 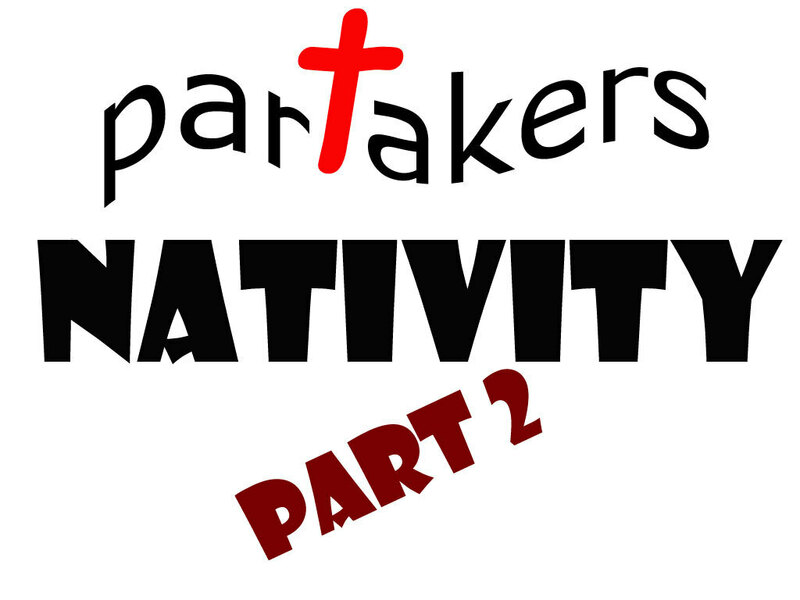 Today we listen to Part 3 - Uriel Speaks up! Then another angel began to speak, and made answer to Michael. He, too, was tall and wore the look of power. But it was power of the mind rather than of the hand. His face was clear and glistening, and his eyes were lit with a steady flame which neither leaped nor fell. Of flame also were his garments, which clung about him as the fire enwraps a torch burning where there is no wind; and his great wings, reaching to a point far above his head, were like a living lamp before the altar of the Most High. By this sign I knew that it was the archangel Uriel, clearest in vision, deepest in wisdom of all the spirits that surround the throne. Today we listen to Part 2 - the Archangel Michael speaks out! "The Earth is full of oppression and unrighteousness! The Earth is tormented with injustice, and the great misery that I have seen among people is that the evil hand is often stronger than the good hand and can beat it down. Today we listen to the Introduction!